I first heard about INGLOT (www.inglotcosmetics.com) on a business trip to New York. Work colleagues and I stopped at the Times Square store and I was mesmerized by all of their latest offerings. INGLOT was similar to MAC but it wasn’t nearly as congested as most MAC stores, and unlike MAC, at INGLOT, I felt the opportunity to indulge in play time to try the different shades and offerings. By the way, INGLOT’s lineup includes 450 lip colors, 550 eye shadows, 300 facial products and 300 nail hues – more than 1,500 products that allow for more than 3 billion different color combinations. 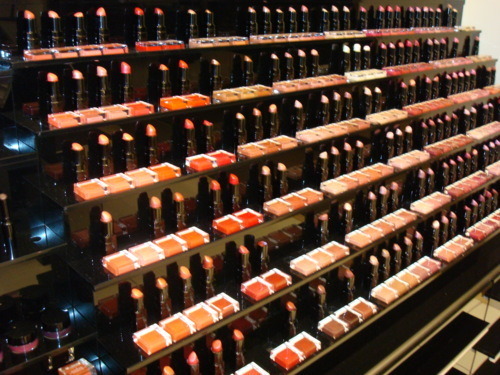 A beauty junkie’s dream! It was definitely fun to creatively experiment by wearing some different shades (for me, it was black lipstick with a glitter gold gloss overlay). Well, fast forward to last week when I finally visited the INGLOT store that opened in Fashion Island in Newport Beach, California last November. I was again reminded of all the fantastic color options, and had a field day trying on different orange hues (which, by the way, is the shade of the spring season). If you haven’t heard of it, INGLOT, a brand known across the globe as a go-to for color and fun, was established over 25 years ago by Wojtek Inglot, a young chemist working at that time in R&D department in pharmaceutical company. His principal objective was to produce high quality products at reasonable prices, using only the best possible ingredients and raw materials from the most reputable suppliers. All INGLOT cosmetics are produced within the European Union and 95% of them are manufactured in their own production facilities in Poland. 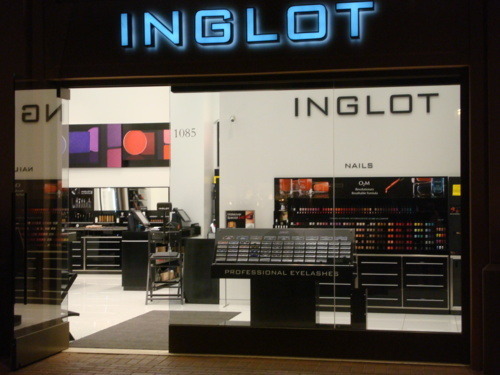 INGLOT has more than 250 stores in 21 countries, in places like Dubai, England and Australia, but the USA can only boast of 7 locations including two stores in Las Vegas, one in Miami, two in New York City, one in New Jersey, and now, one in Newport Beach, California. 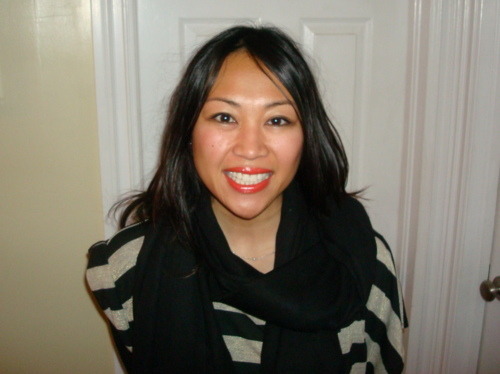 Best of all, the lipstick was only $15.00 and the Sleeks lip gloss was $10.00; a pretty good deal to get my bold orange lips for the season.